A bespoke collection of 24 stunning homes, set in Blaby, Leicestershire. Built to an unsurpassing quality, we ensure that attention to detail is paramount. We have a range of homes on offer including The Brawnstone, The Oaks, The Elms, The Leighs, The Fairways and The Stanton. The contemporary architecture and layout of the homes make for ideal modern living for professionals, families and first time buyers. The development has a vast range of shops and amenities available in a very close proximity. Transport links are great with the M1 and M69 Motorways only a few miles away and many bus services operating in and around Leicestershire. Rail access is also great in this area with the closest station situated in neighbouring village Narborough. 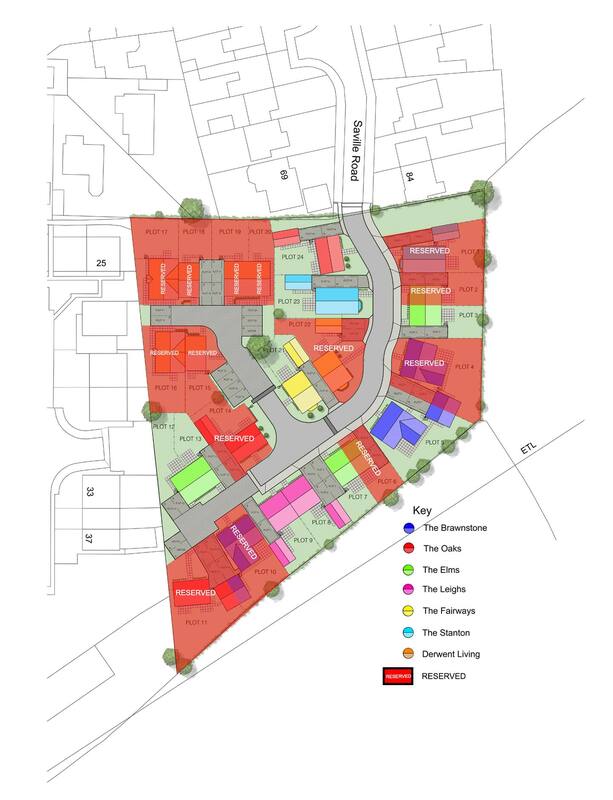 Plots 1, 2, 4, 6, 10, 11, 14, 15, 16, 17, 18, 19, 20 & 22 Already Reserved.